The Mix and Match need to help the kids to express themselves in a NEO way. In a simply and fun way it should animate the kids to share their favorite personal NEO styles and explore the latest collection. The NEO Kid was an interactive paper-toy that allowed you to personalize the digital paper dolls outfit by mixing and matching the new NEO collection. Once you were happy with the NEO kid’s style it could be brought to life by a hitting the print button. Then by cutting, folding and adding some glue, all of a sudden you had your a digital paper doll is as tangible as a shoe. 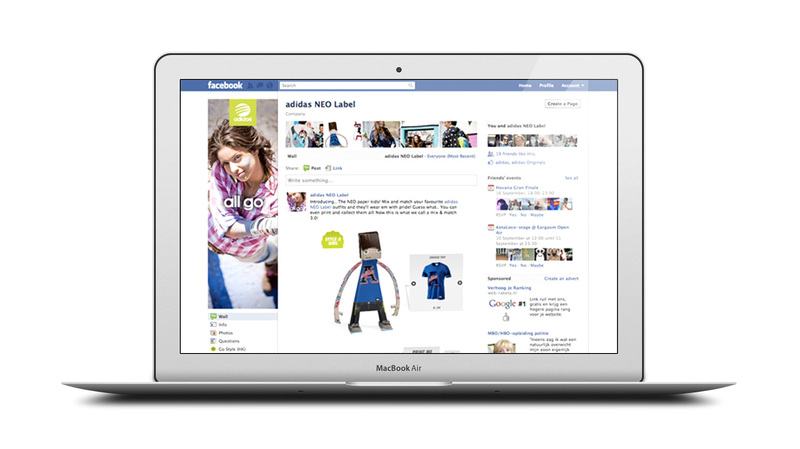 The NEO Kid mix and match tool was build to live on your Facebook wall as well as it could be integrated to blogs. By sharing your NEO Kid you didn’t just allow your friends to see him with your favorite clothes, but they could also mix and match to create their own NEO Kid straight from your NEO Kid. The NEO Kid also lived on Instagram and it got it’s own blog showcasing all the NEO Kids created around the world, with small competitions along the way. 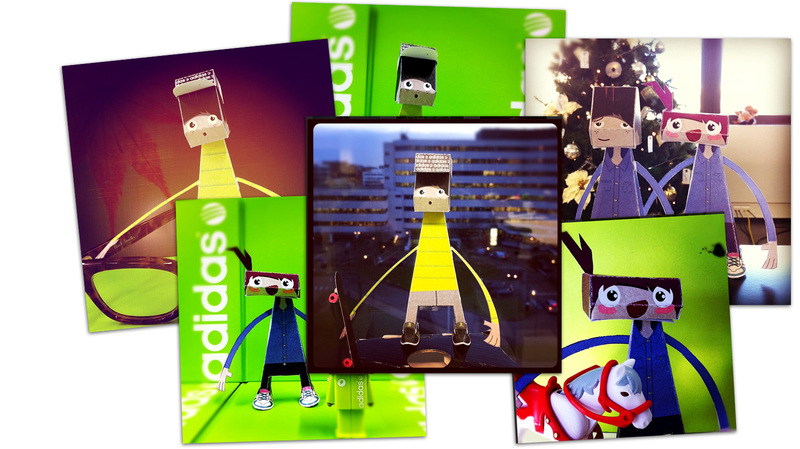 The project was online at www.adidas.com/neo during spring and summer 2012.